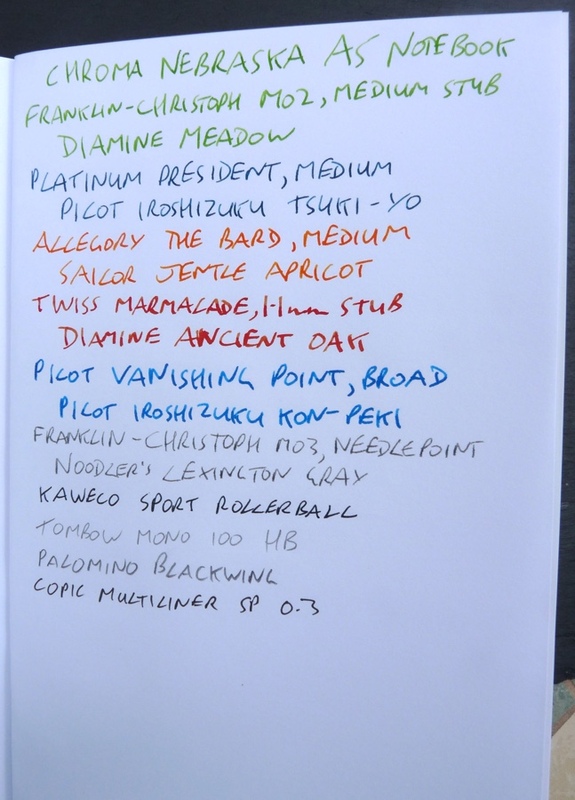 Chroma Nebraska Notebook Review – Pens! Paper! Pencils! 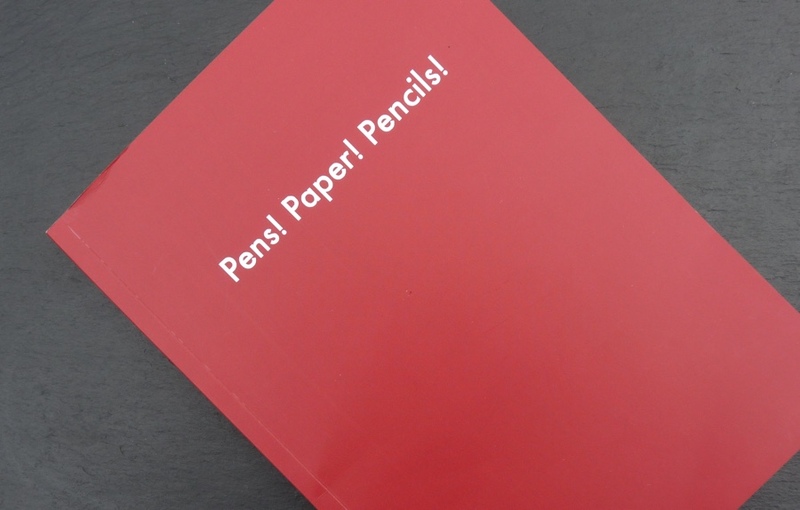 Chroma Stationery make a selection of A5 notebooks, perfect bound (like this one – glued) or spiral bound. The one I’m reviewing is the Nebraska: 50 pages of uncoated 80gsm paper (plain or lined) and thick card cover, for £8.50. The paper is quite good. There’s virtually no feathering. In my tests, the broad Vanishing Point with Kon-Peki feathered ever so slightly but nothing else did. This combo was the only one that showed any hint of bleedthrough and, again, that was only the slightest hint. 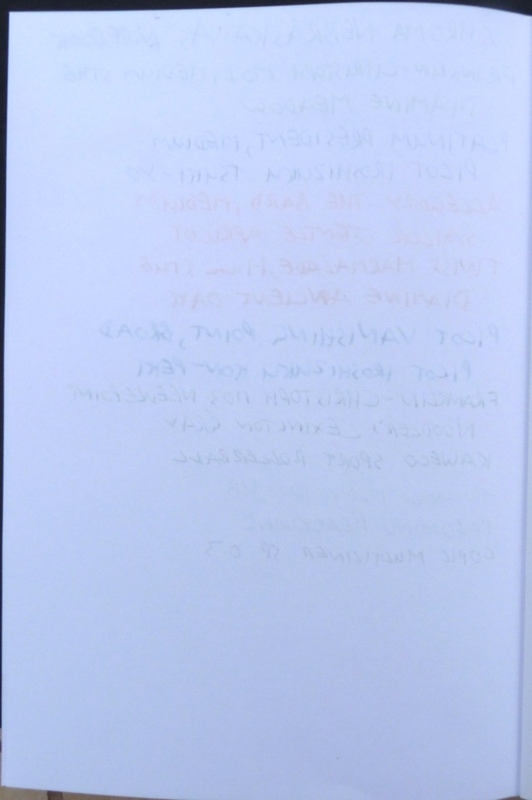 Writing does show through to the over side of the page though. Overall, the paper is better than your average notebook but not as good as your best Rhodia/Clairefontaine. Zoe is my listening ear. She is the person you can go to to sound anything out. I have thought long and hard as to why this lovely deep red reminds me of Zoe, it is just her colour. All Chroma notebooks can be embossed and this is included in the price. You can choose virtually any font and pick from white, silver or gold. The ‘Pens! Paper! Pencils!’ on mine looks fantastic. The binding feels sturdy. I don’t think it’s going to come apart without a lot of abuse. 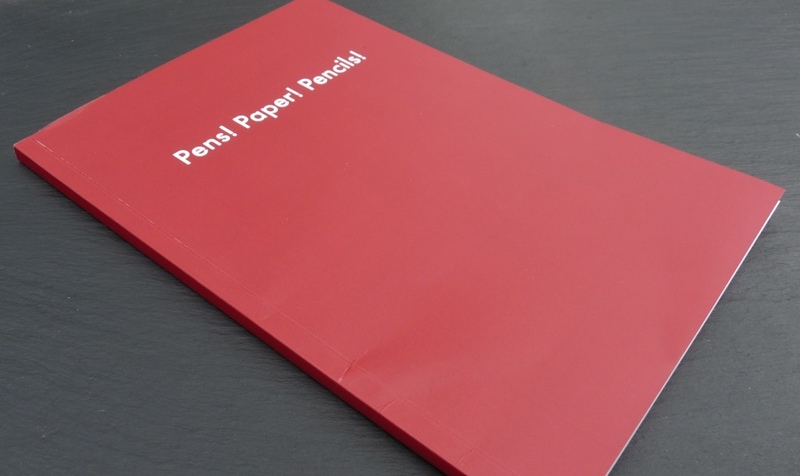 The nature of this glue binding means pages are reluctant to lay flat without some persuasion. This is a good notebook. It’s quite expensive compared to similar notebooks (such as the Clairefontaine Age Bag) but they don’t come with embossing or such a range of colours. If you want a notebook that’s literally personalised just for you, this is an excellent choice. This notebook was sent to me free of charge by Chroma Stationery for review purposes. I’ve tried not to let that influence my opinions.